GridDrones: programmable matter – ixd! Drones. Flesh computers. Shape-shifting controllers. It’s pure insanity. designboom – October 11, 2018. cube-shaped drones serve as floating pixels turning thin air into a screen. This Colossal – 12 October 2018. GridDrones: These Self-Levitating Nanocopters Might Be the Future of Smartphones. GridDrones is a shape-changing system made up of a grid of interactive drones. 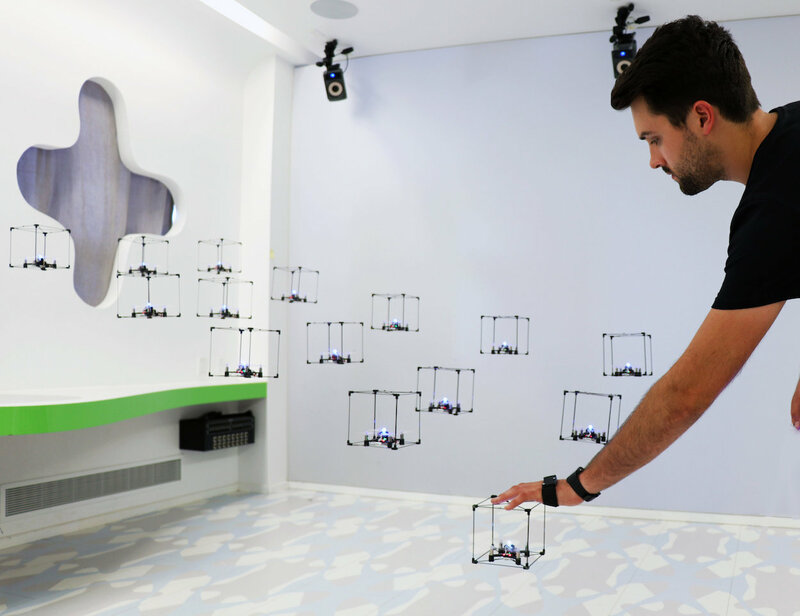 The user can physically touch each drone, dragging them out of a two-dimensional grid to create physical 3D models. 3D pixels can be given a spatial relationship using a smartphone app. This tells them how far they need to move when a neighbouring drone is pulled upwards or downwards by the user. As the user pulls and pushes pixels up and down, they can sculpt terrains, architectural models, and even physical animations. The result is one of the first functional forms of programmable matter. This work was presented at the UIST 2018 conference in Berlin by Calvin Rubens and has been demonstrated at various venues.